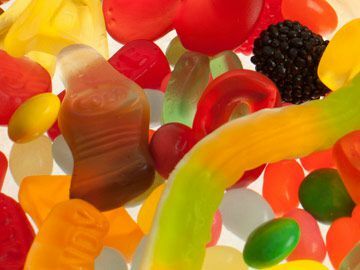 PCO Group - Confectionery – sweets in a screw-top container. Sweet, salty, sour or spicy - there is a broad spectrum of popular sweets and snacks. 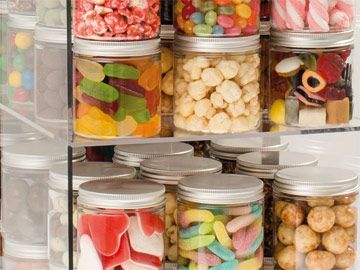 With its confectionery the PCO Group, the complete provider for movie theatres, offers a selection of more than 50 different types of sweets in a premium screw-top pot. This can be printed with a customised label upon request. This label has room for a logo, company design or advertising slogan, and turns the delicious sweets into a snack with a personal touch. 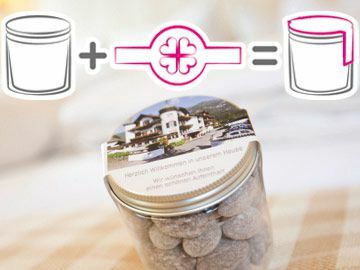 It is also good to know that upon ordering two boxes of one snack each, we print your logo or company name on the label at no extra cost. The PCO Group also not only has the sweets for the confectionery products, but also the matching equipment and advertising materials.